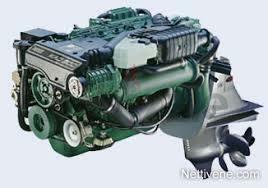 Up for sale are a pair of Volvo Penta 260hp Kompressor diesel engines with Stern/Z-drives. Engines are diesel, 6 cylinder, 260hp each with Z-drive. The engines were basically installed on a boat that went in water only once for 4 hours of testing and that's it; they were never used again and are like new. They are currently installed in the same boat but will be removed and boxed for the buyer. Comes with all lever controls, gauges, cables, instruments, etc.